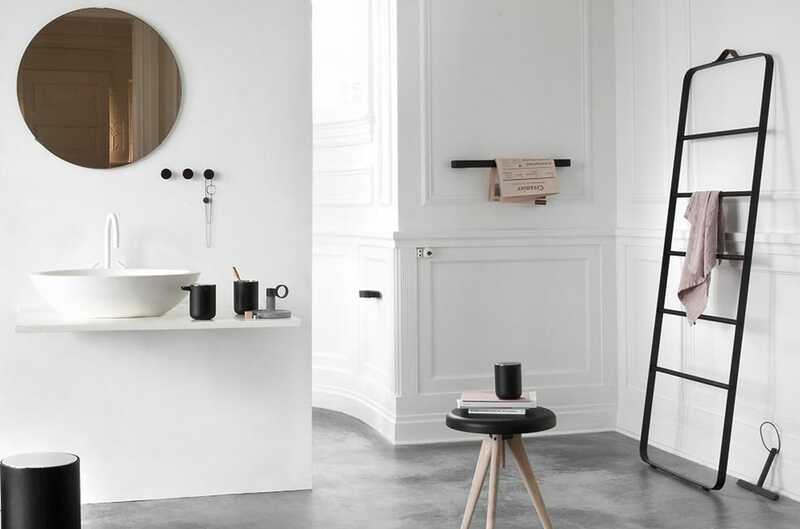 Outfitting your bathroom doesn't have to be strictly utilitarian; good design is for every room in the house. Whether keeping a consistent aesthetic throughout the home or creating a spa-like retreat, the right bath furnishings are not only useful and necessary; they can be beautiful, too. Here is a collection of 10 of our top bath furnishings, selected with design in mind. 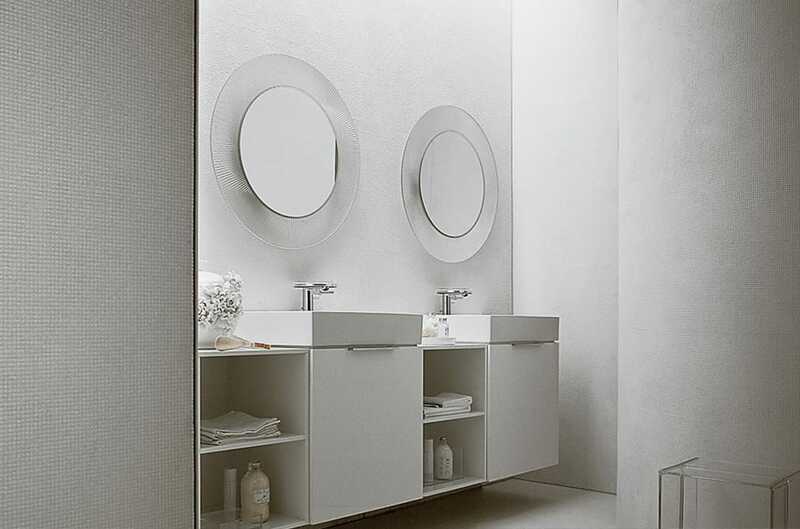 An essential element over the vanity, the bathroom mirror is where much of your focus is when getting ready for the day. So why not make that focus a focal point? The Kartell All Saints Mirror commands attention with an intricately pleated frame that subtly refracts light. A neutral palette and simple round shape make it a divine addition to modern and eclectic vanities. Modern style, right off the rack. 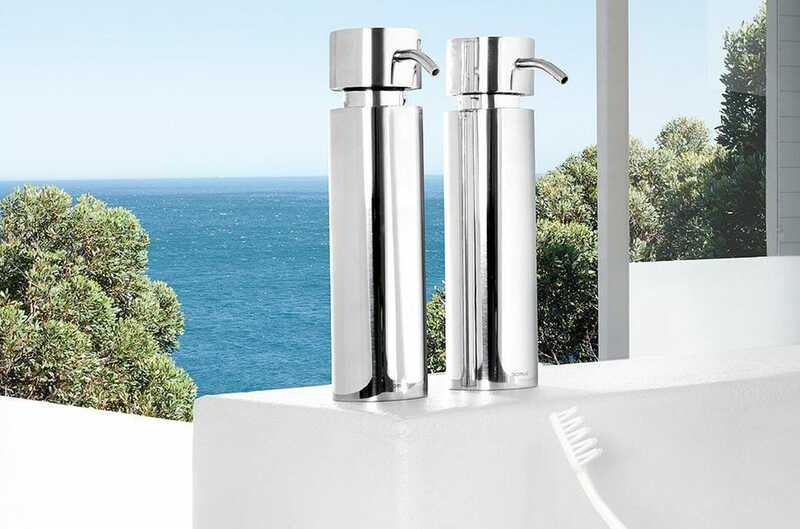 The Blomus MENOTO Towel Stand takes your towels within reach of showers or tubs with a slim, portable silhouette that tucks in just about anywhere. Slender bars of stainless steel stand ready to hold anything that hangs so it’s within your hand’s reach. Tie a bathroom together with the right rug. 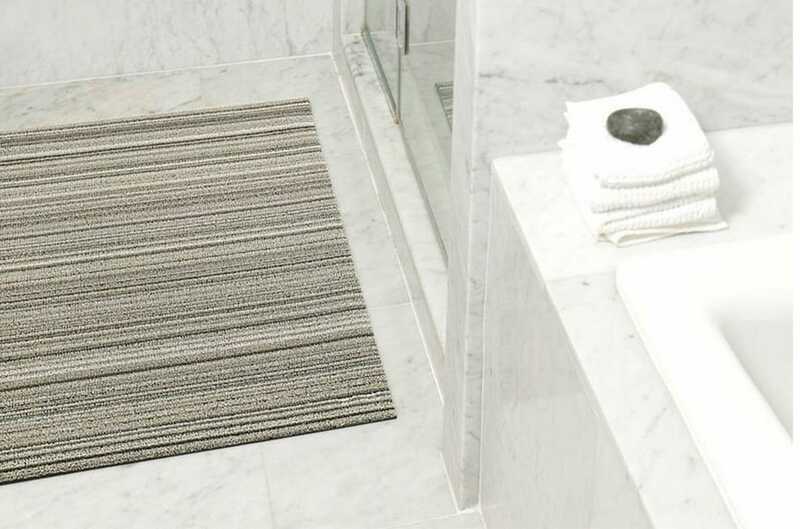 Chilewich's Skinny Stripe Shag Indoor/Outdoor Mat is made from ultra-durable tufted vinyl yarn to prevent slipping when you step out of the shower. This fast-drying floor mat is mold and mildew resistant, ideal for damp bath environments. Iconic modular storage? Absolutely. Kartell's Componibili Round Storage Modules have earned a spot in the Museum of Modern Art in New York, so they've certainly earned their place in modern bathrooms. Conceal your toiletries, spare towels and more behind the sliding doors, while the tray table top catches anything you need close at hand. 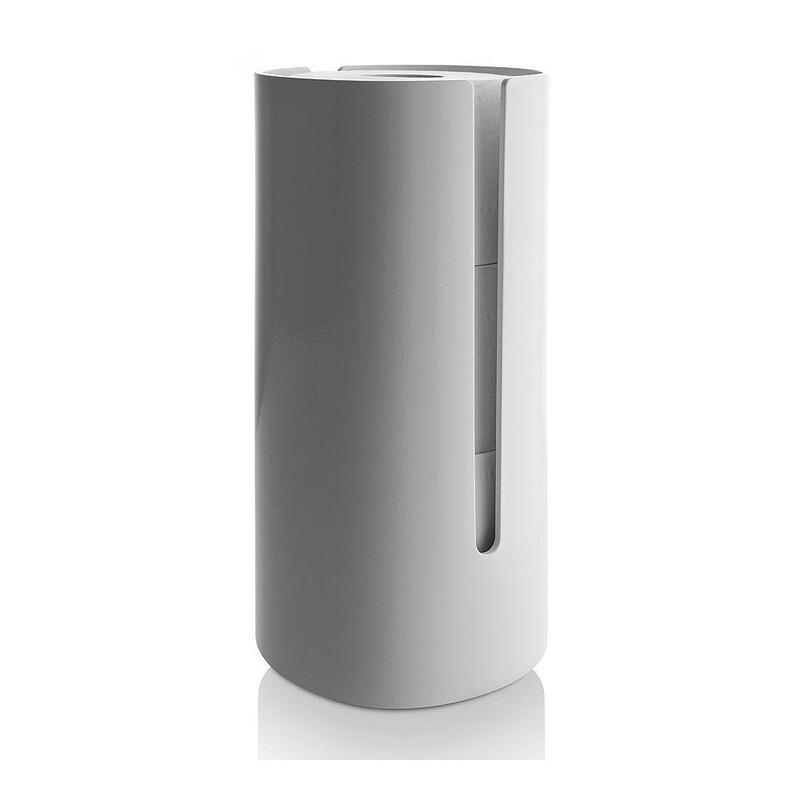 Injecting a bit of modern design into the least likely of places, the Alessi Birillo Bathroom Waste Bin disguises your trash with a contemporary container. The seamless body is topped with a swinging lid, creating a perfectly cylindrical silhouette that is as attractive as it is essential. An avant-garde approach to a towel rack, the Towel Ladder by Menu casually leans against the wall (or hang using its leather hanger) for a relaxed modern look. Free of sharp angles and featuring round oak rungs, this alternative hanger holds towels and clothes as well as magazines for easy access when lazing in the tub. Transparently tasteful, the Sound-Rack Cabinet by Kartell stacks and stores in a variety of configurations. Its sturdy PMMA plastic construction makes it light enough to move easily yet is solid and durable. And as a room-dividing element, its see-through material creates needed division without closing in the space. 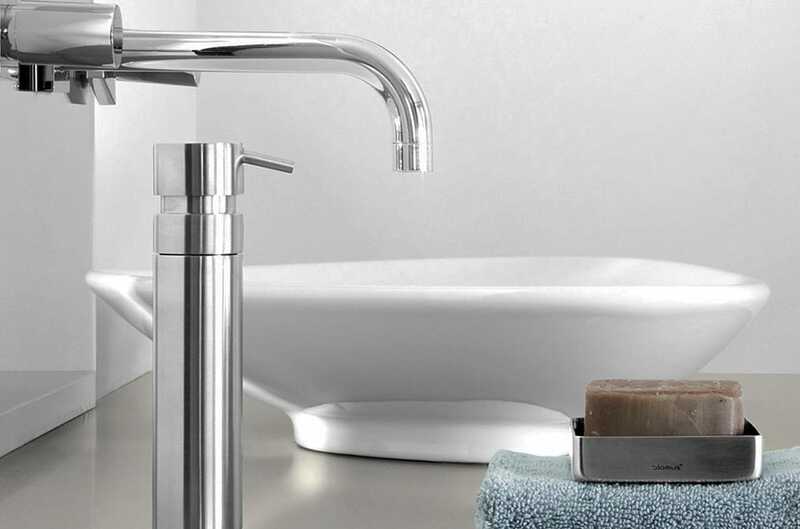 Prettier than a plastic pump, the Blomus DUO Soap Dispenser helps you personalize your vanity and create a clean, clutter-free look. 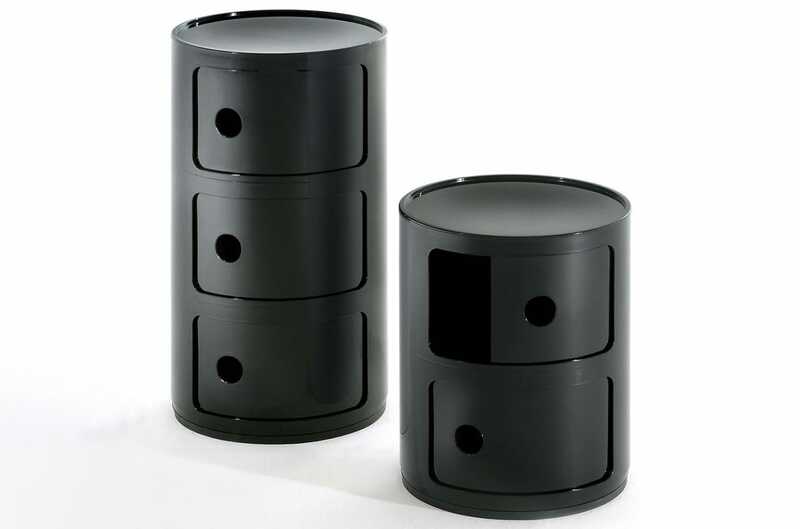 The sleek, modern steel cylinder complements many design schemes with a decidedly contemporary leaning. Mirror, mirror...in the corner? 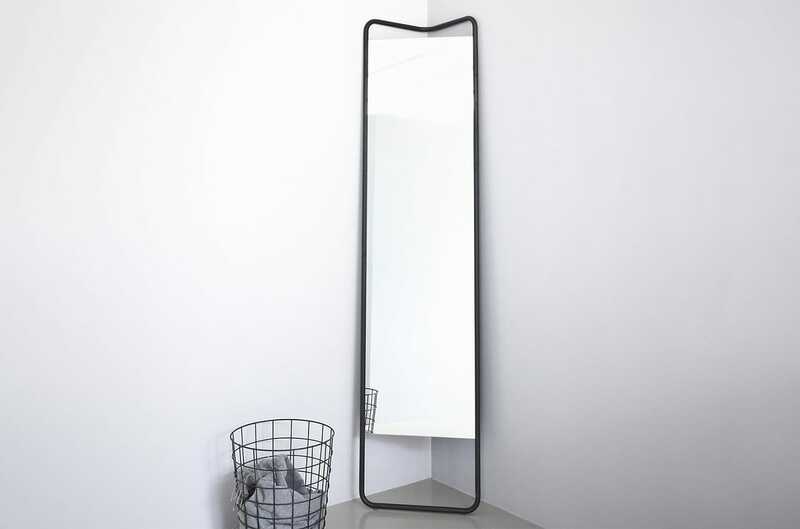 Menu's KaschKasch Floor Mirror bucks tradition with an unconventional triangular frame that allows it to be tucked into a corner or stably balanced against a wall. Positioned at an angle, it divides a space like a screen. And the top bars of the frame can even be used to hang clothing, making this a pretty magic mirror. 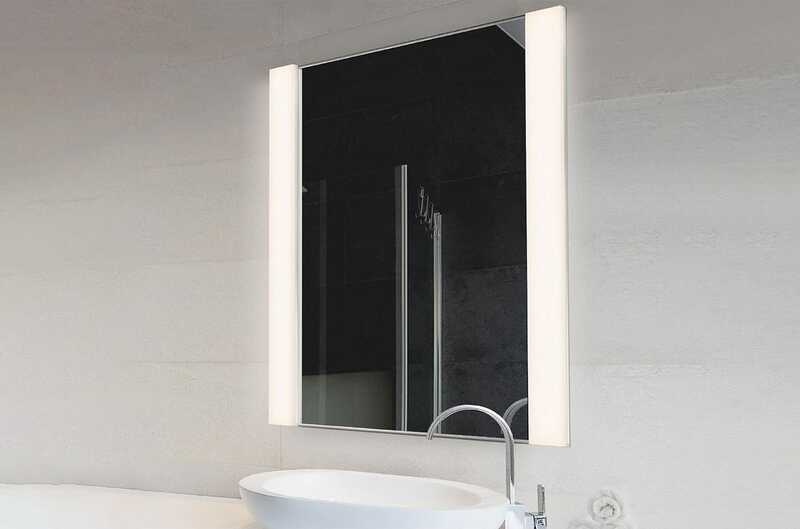 Wrapping some major bath design points into one beautiful package, the Vanity Wide Vertical LED Mirror Kit combines vanity lighting, mirror and undeniable style in one chic product. Flanking the mirror are two bright LED bulbs, housed within the mirror's ultra low-profile frame. This modern fixture is simple enough to blend with many decors, but will never be overlooked.